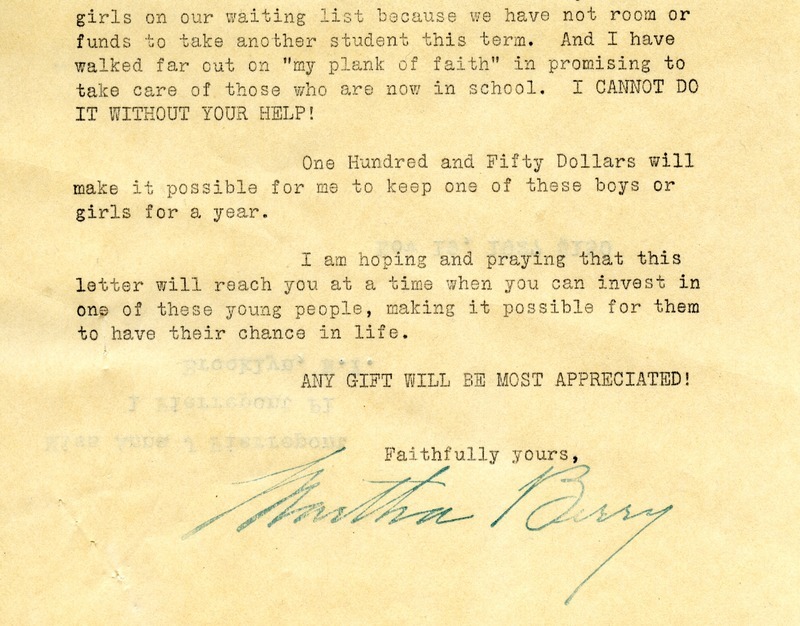 The letter is asking for $150 scholarship donations so students can attend Berry for a year. A $150 donation is recorded at the top. 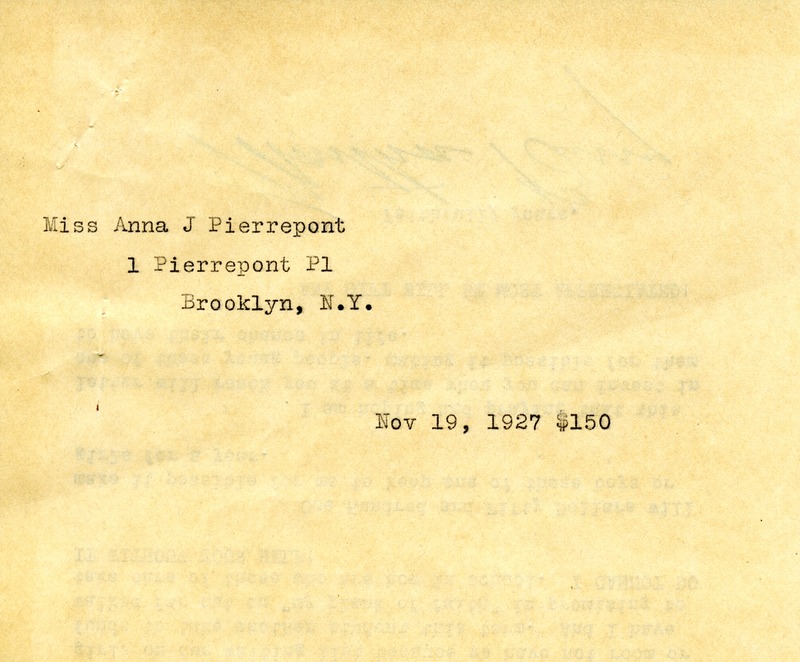 Martha Berry, “To Miss Anna J. Pierrepont From Martha Berry.” Martha Berry Digital Archive. Eds. Schlitz, Stephanie A., Cassie LaJeunesse, Savannah Harris, et al. Mount Berry: Berry College, 2012. accessed April 25, 2019, https://mbda.berry.edu/items/show/5346.